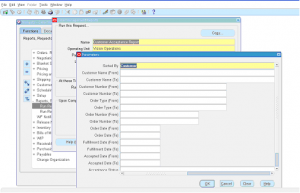 Customer Acceptance Report is a standard Oracle Order Management report. 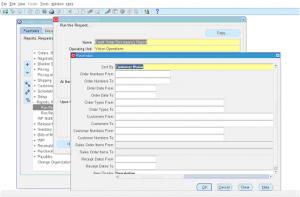 This report prints out all customer acceptances based on given parameters. 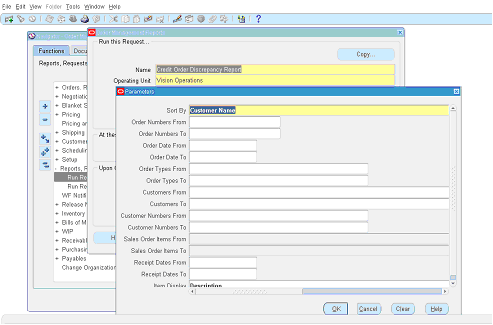 Customer Acceptances is a new feature in R12, it allows order updates beyond shipping. This helps in revenue recognition. 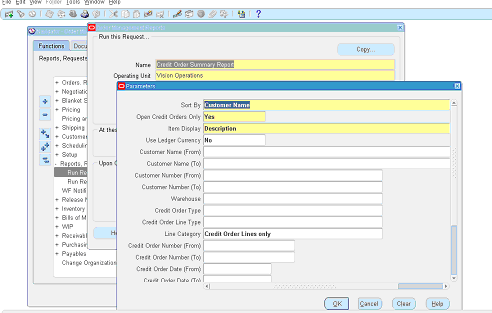 Credit Order Summary Report is a standard Oracle Order Management report. This report prints out all the RMA order line information based on given parameters. 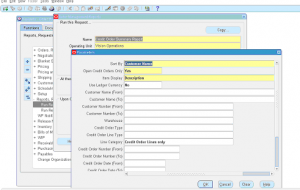 Credit Order Discrepancy Report is a standard Oracle Order Management report. This report prints out the credit order discrepancy information for a given parameters. 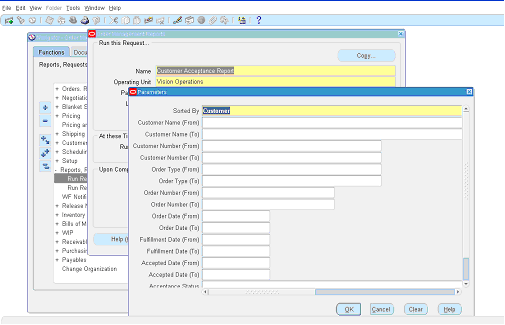 Oracle Order Management responsibility -> Reports, Requests -> Run Reports -> Select Report name as ‘Credit Order Discrepancy Report’ -> Select the Operating Unit.